Williamsburg Estates is located off Highway 98 and Shoreline Drive, near Gulf Breeze proper, but towards the end of the Fairpoint Peninsula. It is only a five-minute drive to Pensacola Beach over the Bob Sikes Bridge. Developed in the mid 1980's, most of the homes have been renovated with all the upgrades you expect. Many border Shoreline Park and the boat launch. These homes are affordable three and four bedroom brick ranch beauties, with square footage from 1,600 to 3,200 sq ft. You will find some priced as low the mid $200,000's, and the larger homes can go up to around $500,000. 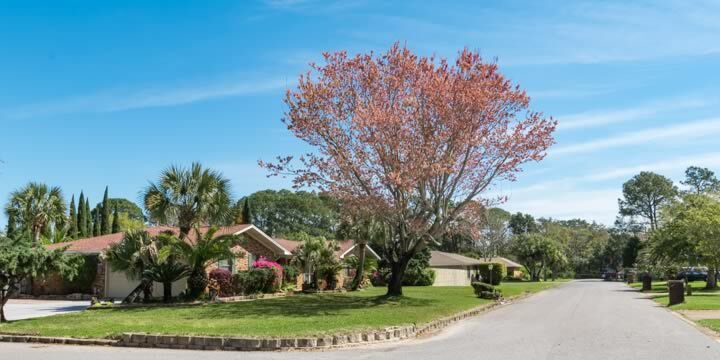 The home-sites are at least a quarter-acre with manicured yards and mature trees to provide some shade for the hot Florida days. All have two-car garages, and some have private pools. Williamsburg Estates have a highly desired location in the A-plus rated Gulf Breeze School District with an easy walk to the Gulf Breeze Recreation and Community center. Williamsburg Park, Sunset Park, and Hodges Park are also close by for the kids. Even your furbabies can enjoy the nearby dog park. If you want a home that is easy on the budget, or an affordable luxury home with a pool, Williamsburg Estates has it all. And if you love the outdoors, the location was made for you. Call us to see the available homes in Williamsburg Estates or in any Gulf Breeze community. 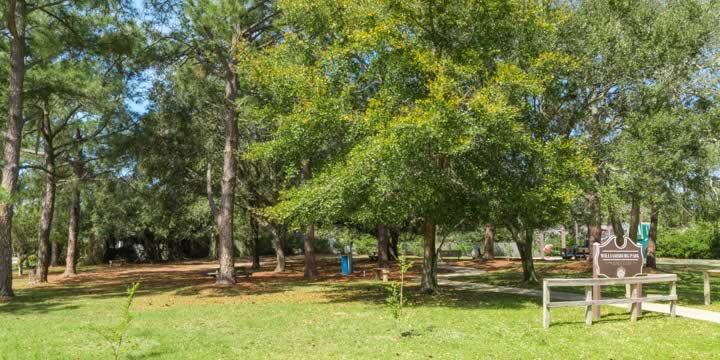 Canal front residential lot with sound views in the heart of Gulf Breeze proper.